NEW DELHI. One of the biggest fake news peddler on Facebook is a page that goes by the name ‘Viral in India’. The page has close to a million followers. It regularly spreads misinformation on social media through posts with misinformation. The page is reportedly run by Abhishek Mishra, someone who claims to be an RTI activist on his Twitter bio. He often boasts of his closeness to many Congress and Aam Aadmi Party (AAP) leaders and is often slammed for posting fake content on his personal Twitter timeline. Last year, Mishra was called out after he tweeted a fake CNN report to claim that the Bharatiya Janata Party (BJP) was the most corrupt party in the world. 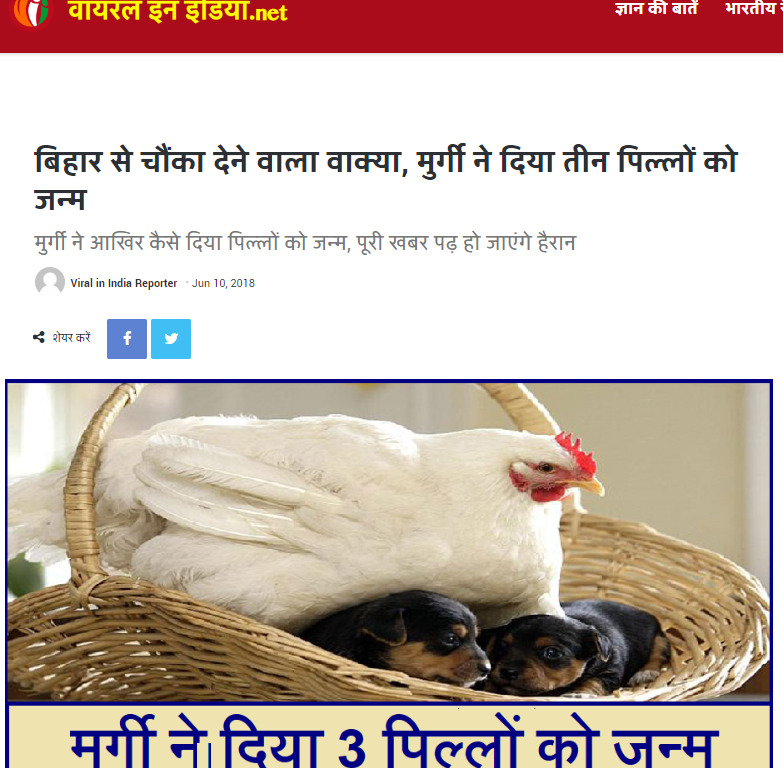 In another instance, right after the BJP won elections in Uttar Pradesh, Mishra posted a fake image claiming that prosthetics were used by the saffron party to subvert election process by enabling their voters to vote multiple times, another fake claim. Extending the same modus operandi on to the page ‘Viral in India’, Mishra and his team uses it purvey fake images, videos, photoshopped tweets, fake quotes etc. The page is affiliated to a website called viralinindia.net, which regularly publishes misleading reports. Fake content exhibit 1: USA declares former PM Manmohan Singh the most honest Indian politician. An image of Manmohan displayed during a state dinner hosted by Barack Obama in December 2016 was misrepresented as one declaring him the most honest leader. This is nothing more than a desperate attempt at click-bait. 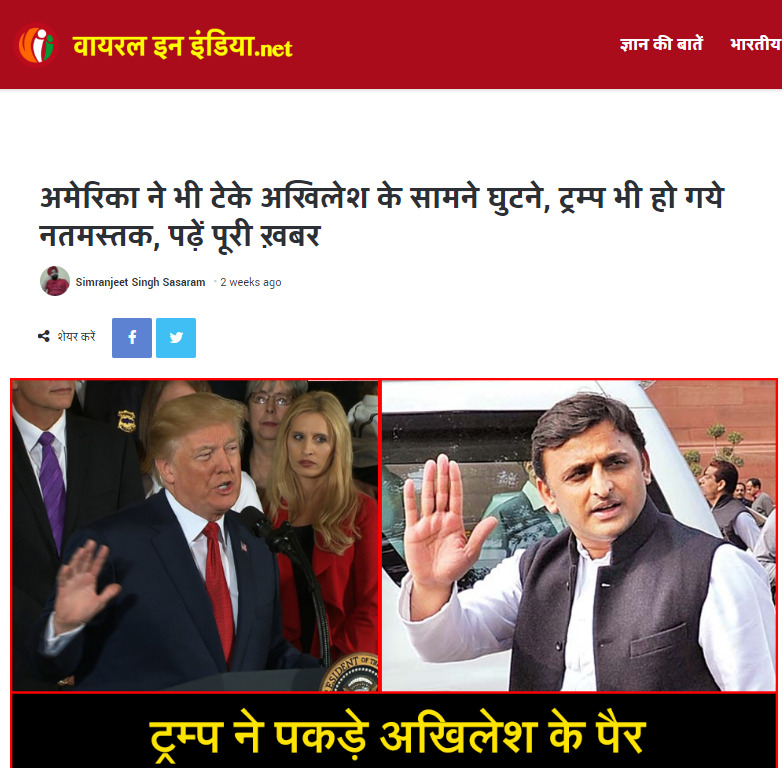 Trump probably doesn’t even know about Akhilesh’s existence. Needless to explain that this claim is totally fake. Fake content exhibit 5: The page regularly invents controversial quotes and attributes them to politicians and celebs. The examples shared above are only a handful of the fake content this page promotes. We urge social media users to be careful about such pages. Keep following this space for more such alerts.